Looks like a pair of the GT Cool Express. 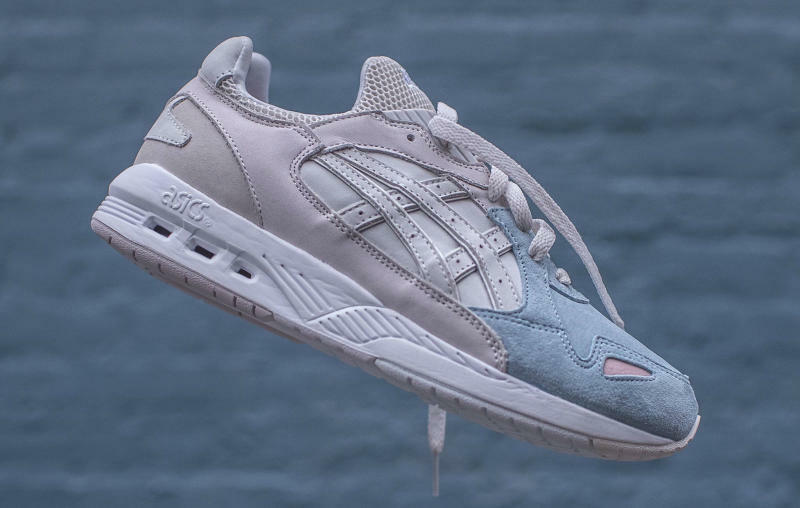 What's next in the long line of Ronnie Fieg x Asics projects? The Kith founder took to Twitter today to give his followers a hint. The full shoe hasn't been revealed just yet, but based on the top-down photo available it looks like the pair will fit right in with Fieg's oeuvre of tonal retro colorways. Branding for Fieg's Kith store hits on the insole of the left shoe here. It's tough to discern exactly what the silhouette used is, but if the leaks on the shoe are to be believed then it's an Asics GT-Cool Express. Fieg's not given any sneaker release date info, but leakers are saying to expect an April launch. UPDATE 2/21: As Ronnie Fieg explains, his partnership with Asics began in March 2006, when he started working on his first Gel-Lyte III collaboration. Over the last 10 years, Fieg has had a hand in bringing new energy to the brand, particularly as it pertains to the modern sneaker enthusiast. Now, he's once linked up with Asics to help reintroduce an archive silhouette. Tonight, Fieg officially unveiled the "Sterling" Asics GT Cool Express, a soft rose rendition of the retro runner, fronted by a grey suede toe. As of now, there's still not a release date, but Fieg did add the caption, "Coming Soon."